You will be missed Epstein. 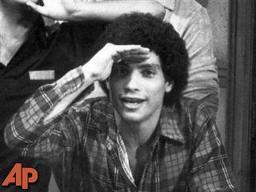 Robert Hegyes dead at age 60. If you were asked, who is Robert Hegyes, you would probably say "I'm not sure". But if you were asked, do you remember Epstein from Welcome Back Kotter, you would probably say "Hell yea". It is sad to say that Epstein has left us at age 60. While Robert played many roles and appeared on many different shows, he will always be remembered as Epstein. If you are not familiar with the show or the character, that is your loss. You should try to catch the re-runs or find some DVD's. You too will then realize the greatness of the show and you too will be sad for the loss of Epstein.